We’ve gotten very used to press releases from every organization imaginable these days, up to and including our sports teams. I thought it would be interesting to take a look back at some historic events in sports. 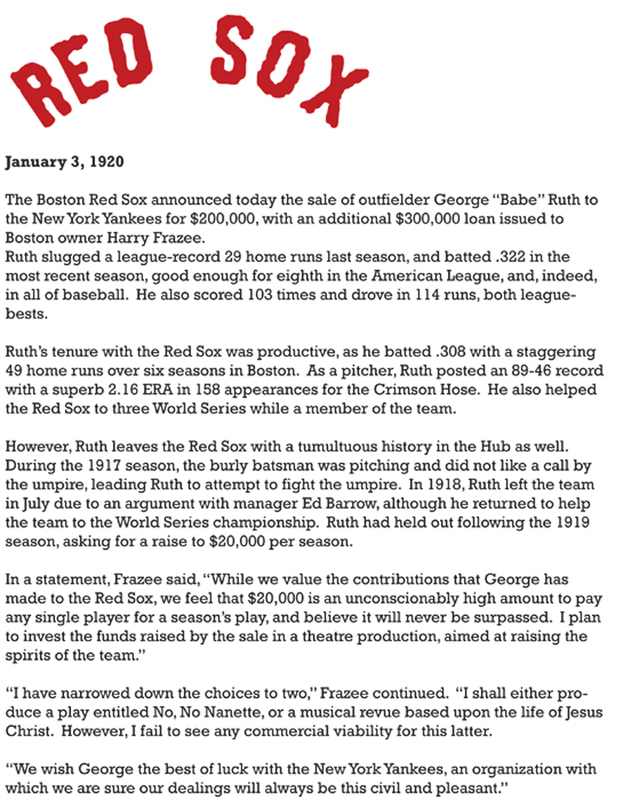 We begin with the sale of Babe Ruth to the Yankees. In case you couldn’t tell, this was satire. Let me know what you thought!